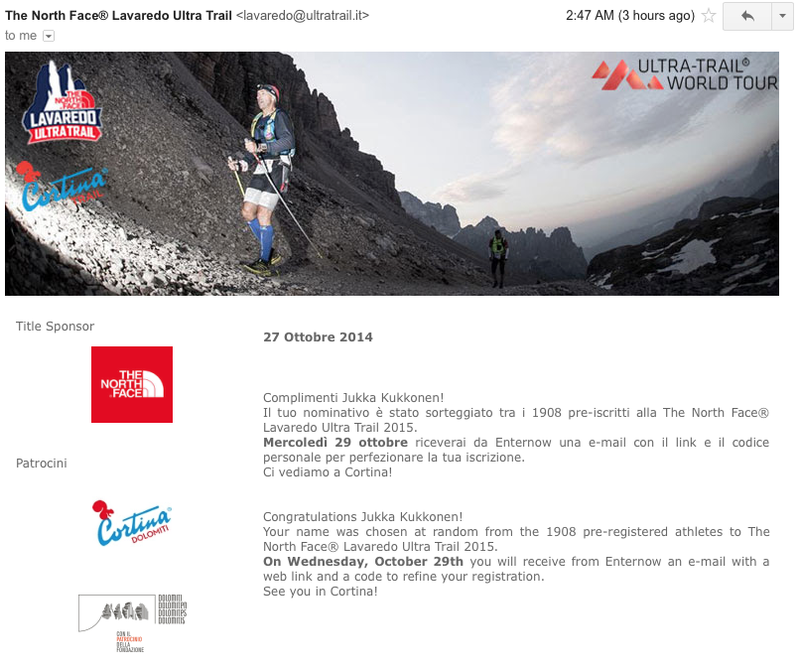 trailplodder: Lavaredo Ultra Trail 2015 - I'm in! Lake Misurina welcomed me with a sunrise like this in LUT 2014. Yes! I received good news: my name was chosen at random from the 19078 pre-registered athletes to participate in The North Face Lavaredo Ultra Trail on June 26-28, 2015. The course will be the same I finished this summer: 119km with 5,850m elevation gain. Good news via email. I'm in! taking little sightseeing tours in the beautiful canyons and gorges. In other words, I'd like to finish a lot faster than 26 hours and change. Absolutely no fooling around anymore! 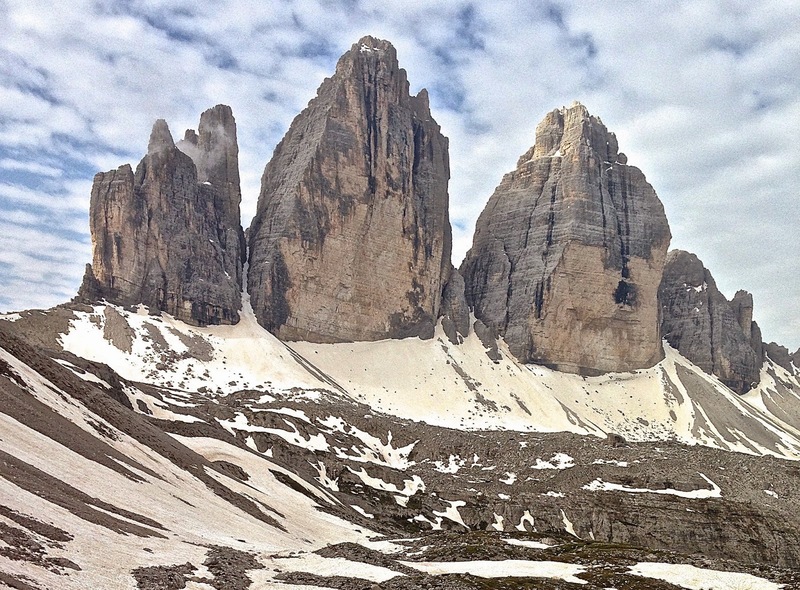 Tre Cime di Lavaredo. There's usually snow around here in June. Last year's winner Anton Krupicka says it's the most beautiful race he has ever done. And I'm not going to argue with him! 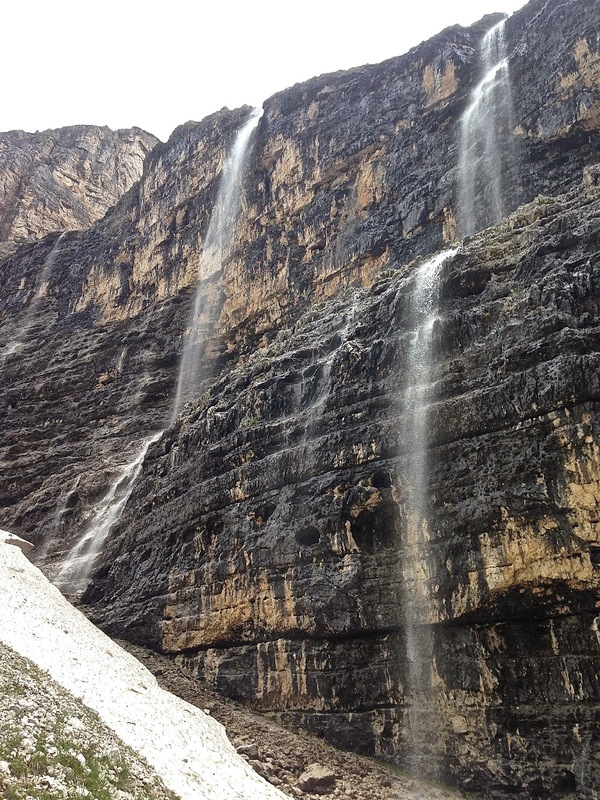 Dolomites are stunning, gorgeous and beautiful in every way. What's more, running there is a totally different experience from anything else. My favorite section of the course is the part from 80 to 100 km. See you in Cortina d'Ampezzo! Thanks Paul! I agree prioritizing is top priority. Chiemgau 100-miler sounds great!